This week we have so many campers and the energy is so great from it! Lots of friendships reuniting, laughs shared, and activities everywhere! Today, TEVA played four way soccer, Arapahoe went fishing/swimming, and some competitions between cabins in dodgeball and gaga occurred. In the evening, many songs were sung and everyone played Wells Fargo, a well known tradition here at Camp Jorn. Busy day full of play! Check out our Smug Mug for photos of the cabins and activities happening here! Rain rain go away, come again another day. A week ago today it was raining and yet again, we have a rainy Thursday. That doesn’t stop us! The cabins enjoyed each other’s time and got to spend the day together in their cabins. Lots of games occurred and friendship bracelets too. Never a dull moment here at camp! Trips trips trips. We love our camping trips! We have all of our cabins out on camping trips tonight. Must have the kitchen crew confused for the evening having a little number of people there to cook for! 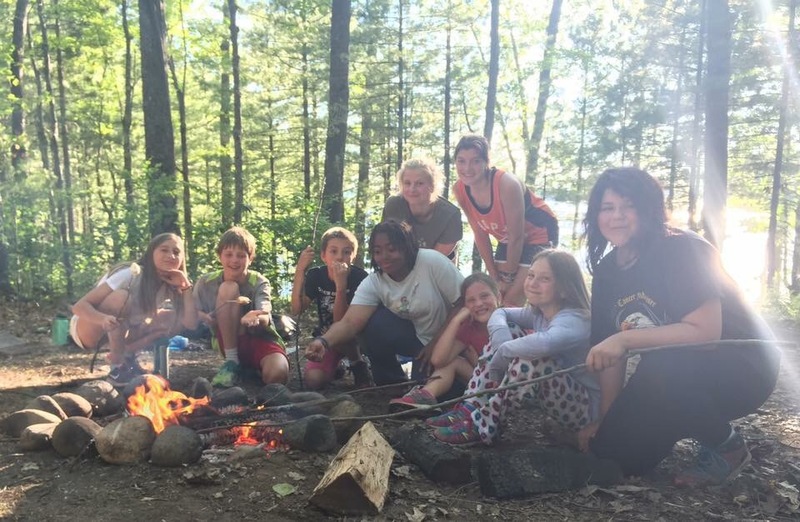 So the campers have been having a great time making s’mores, talking with one another, and sleeping in tents. So much happiness and laughter! This is our Winnebago cabin having a grand old time! Happy Fourth of July to everyone! We had such a busy day at camp! 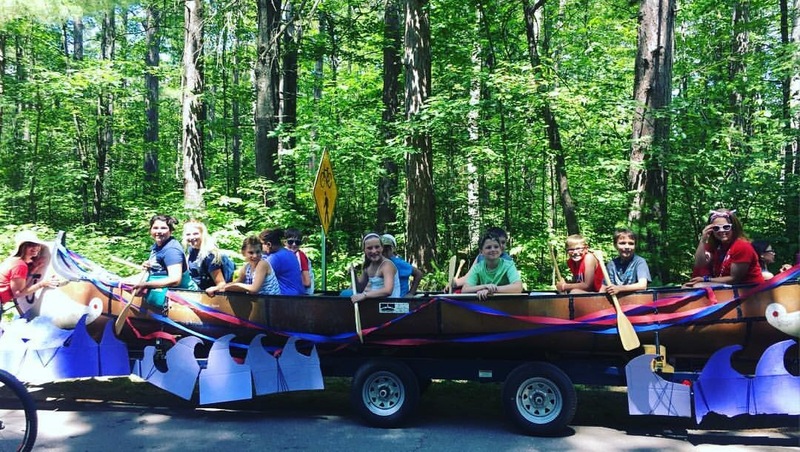 We were a part of the parade in Manitowish Waters where we sang camp songs, waved, and some of the campers got to ride in our float which was a canoe! Later in the day, we went swimming to cool off. In the evening, we had our very own Camp Jorn carnival with lots of fun games! Finally, to end the long day of festivities, we all watched fireworks over the lake. It was so special and beautiful! We hope you all had an amazing Fourth of July! For photos from the day, check out our Smug Mug! Wow, this week flew by and it is already Friday! Can not believe it! It feels like just yesterday the campers were meeting each other for the first time on Sunday and now they have gotten so close. It is incredible to see the new friendships that have formed this week. Today is a lot of packing and cleaning to have them ready to head home, but tonight we have our special Friendship Fire. The Friendship Fire is a tradition here at camp where we honor each other for doing great this week and sharing our stories. Also, we have a huge fire in the middle of the field that brings us together as one unified group. It is a fun time for everyone! Photos of the day and our Friendship Fire to come. Keep a look out on Smug Mug!